Make unique varsity jackets for you and members of the team, and stand out from the rest! Fleece is a good choice when you want to order custom made varsity jackets. 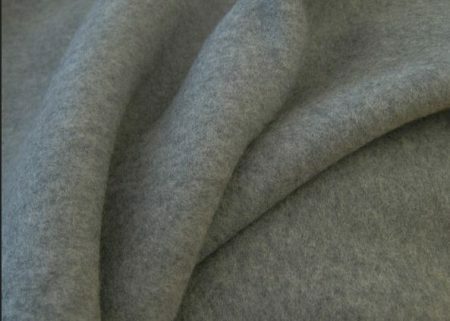 Click on fabric image behind to view available colours of fleece fabric. Having a lining for your varsity jacket makes it look more stylish and fashionable, and the most important makes it look expensive and of course, you, look awesome! 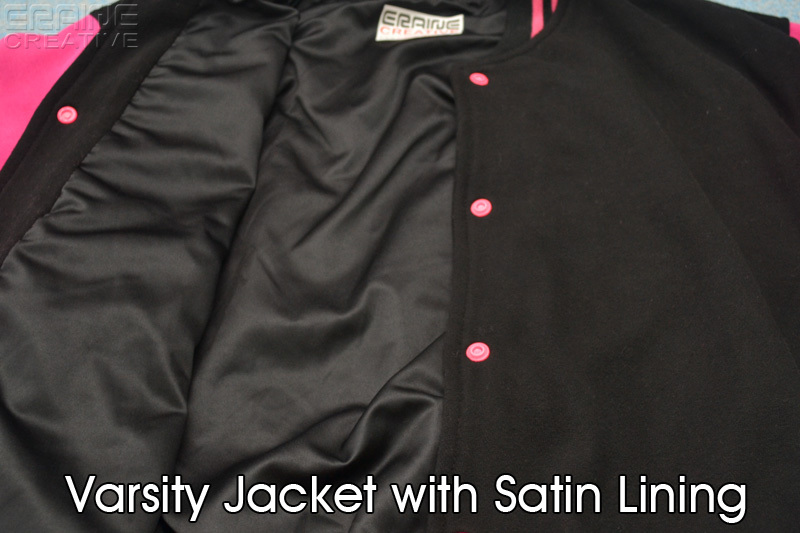 Lining reduces the wearing strain on your varsity jacket, making it more durable and last longer. Customers can choose to have lining or not to have lining. Let these images tell you the differences. Now this is the part where you get your logo, initials, mascots, website, etc. on the varsity jacket be seen by the public eyes. 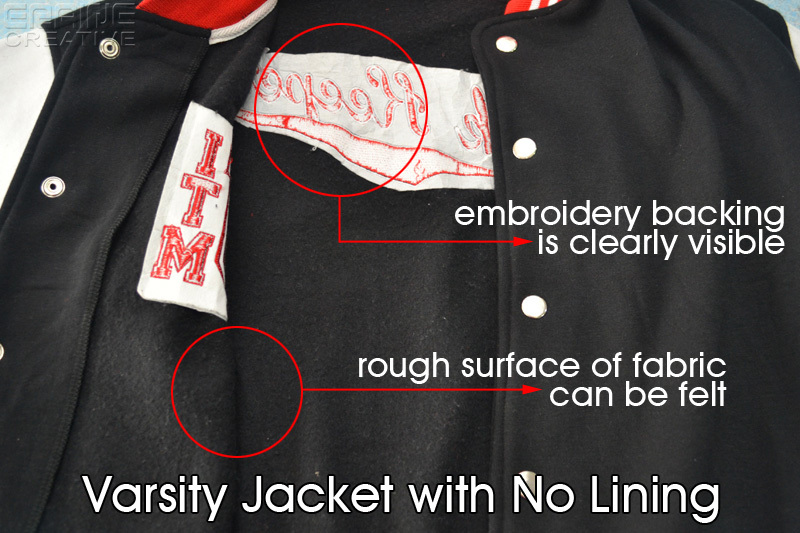 We offer several options that will unleash the awesomeness and uniqueness of your varsity jackets. Click on the type of decoration below to view details and more images. Back design can do up to A3 size with silkscreen printing. 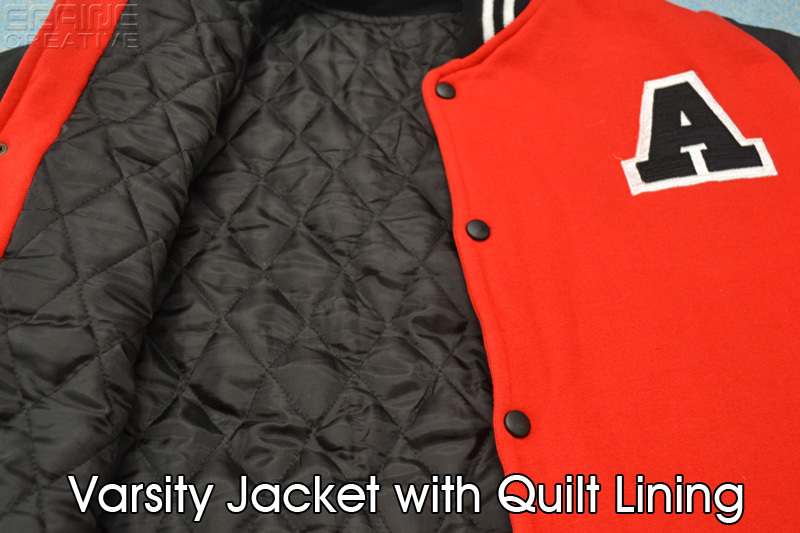 Use our Online Designer Tool to design your varsity jackets with ease. It is recommended that you use a full screen computer to make your design. We also provide Adobe Illustrator (AI) template in CS5, CS6, CC and PDF version. Download this template file and use it to create your jacket design.